UNITED STATES: Suzlon Wind Energy Corporation has extended its contract with Exelon to continue servicing 231 Suzlon S88 and S64 wind turbine generators. Suzlon will continue to service its turbines for Exelon. The American arm of the company will service up to 408.5MWs of generators as part of the extended contract. "Exelon is one of Suzlon Groups largest and long standing customers and sets very high standards for wind turbine operations, maintenance, and safety, and we strive to be their easiest OEM to do business with." said Duncan Koerbel, Suzlon Wind Energy Corporation's CEO. Suzlon's turbines are located at a number of sites across the United States including the 16.8MW Tuana Springs site and the 42MW Mountain Home site both in Idaho. 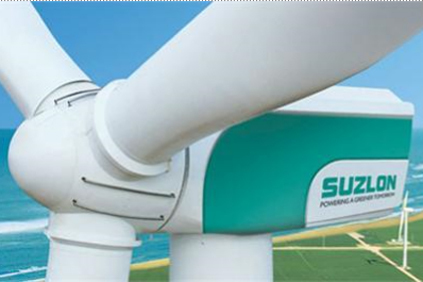 Suzlon recently sold the 240MW Big Sky wind project in Illinois to EverPower. Suzlon was forced to take on Big Sky after the developer, Edison Mission Energy, failed to pay back a loan to the Indian-based power company.